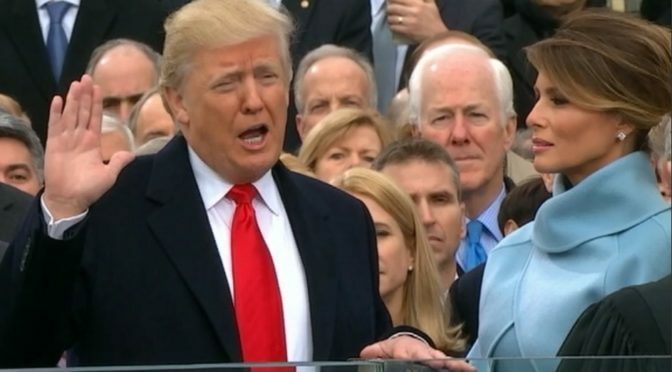 If Americans are learning anything in the wake of January 20th, it is this: the controversy just doesn’t stop when your President is Donald Trump. 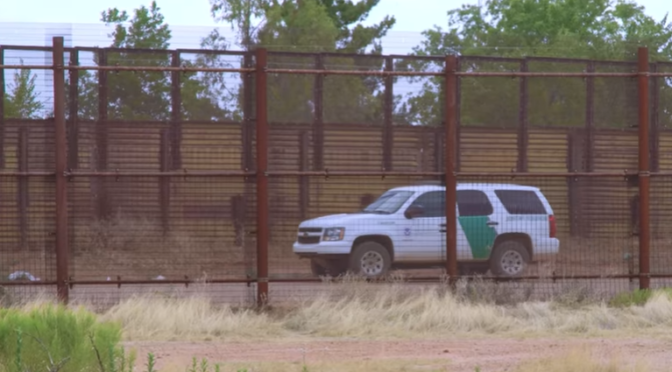 As if the proposed Border Wall plans weren’t enough for week one, the nation was left reeling late Friday from the President’s hastily announced (and apparently hastily conceived) ‘Travel Ban’ targeting persons from seven Muslim-majority countries. The Executive Order erupted, causing mass confusion among affected travelers and barring people from entering the country. Here’s the full text of the President’s Executive Order: Protecting the Nation from Foreign Terrorist Entry into the United States, directly from the White House. Many Trump supporters are quick to point out that the Executive Order does not explicitly ban any person of a particular religion, so it is unfair for protesters and others to label it as a “Muslim Ban”. But like many of the actions Trump has taken thus far, his true motives were revealed in a recent interview where he doubles down saying the Ban is “meant to prioritize Christians”. So yeah… it’s a Muslim Ban. 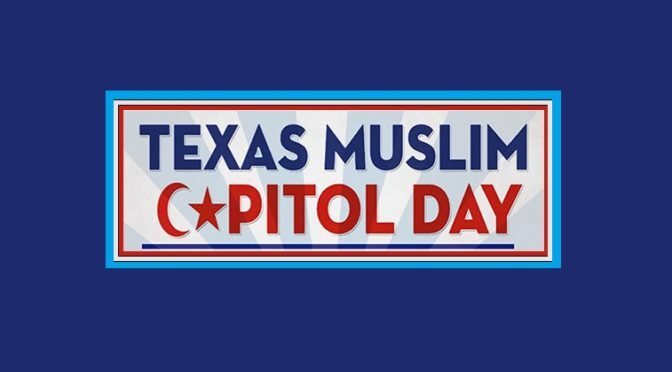 Participants in Tuesday’s Texas Muslim Capitol Day traveled to Austin for a day of education about the state government. But they walked away with a significant lesson in civil demonstrations. Two years ago, the Muslim participants who visited the Texas Capitol were met with two dozen protesters who repeatedly interrupted their event. 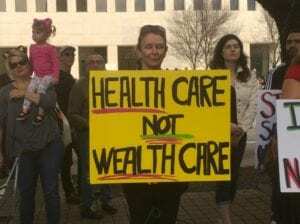 But when participants walked up to the south steps of the Capitol on Tuesday morning, they were surrounded by a massive human circle made up of at least 1,000 supporters looking to ensure the event went off without a hitch. It was a sentiment made clear by supporters who had joined arms in front of the Capitol. And it was echoed earlier that morning when the first few students who arrived for the advocacy event were met with cheers and applause from the circle of supporters. As positive as today’s events may have been outside the capitol, the usual business of exclusion and division was alive and well among leaders of the Texas Legislature. In Governor Greg Abbott’s State of the State Address, chief among his agenda for lawmakers was to pass a ban on ‘Sanctuary Cities’. What this means for immigrant communities remains to be seen. But come what may, Texas Muslim communities and those that support them and our collective freedom of religion are here to stay, here to live, here to work and here to be visible. 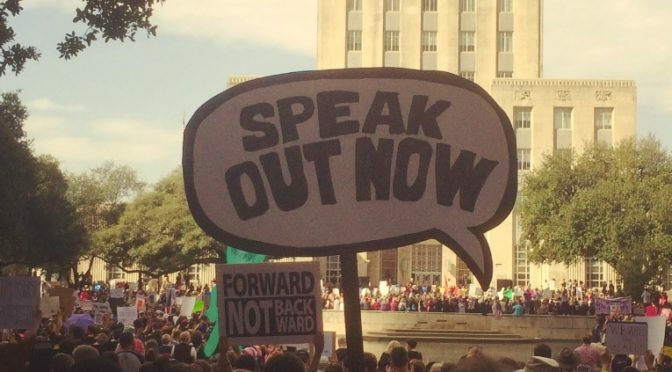 The Texas Progressive Alliance marches with the resistance as it brings you this week’s roundup. 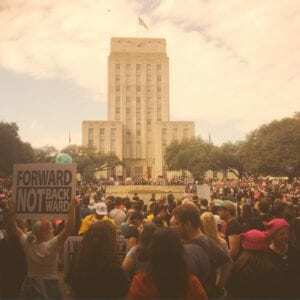 Libby Shaw at Daily Kos attended the women’s march in Houston yesterday. Meanwhile, in that spirit, she recalls the old Republican healthcare plan. Remember the GOP healthcare plan? “Don’t get sick”. 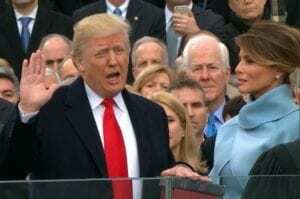 The Irish bookmaker Paddy Power laid odds on Trump’s shade of orange at the inauguration, but PDiddie at Brains and Eggs took some of their easier money. Luis Hestres wonders what Trump’s election will mean for digital freedom of speech. January 20th– the time has come. 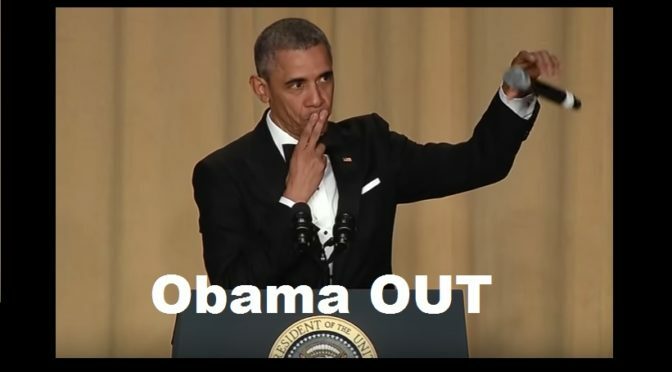 As the United States readies to conduct our peaceful transition of power from President Barack Hussein Obama to President Donald John Trump, citizens across this country are preparing to welcome the new guy to office. But peaceful doesn’t have to mean quiet. On Saturday, January 21—the day after Donald Trump is inagurated as the 45th President of the United States—the Women’s March on Washington will take place. What began as a grassroots Facebook event quickly blossomed into a national movement, following discontent after the 2016 presidential election. However, the official Women’s March organization, emphasizes a pro-women initiative rather than an anti-Trump one. 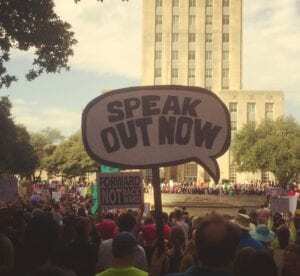 With Planned Parenthood as an official partner, the march aims to raise awareness of women’s rights to reproductive healthcare, funds, and protection. Several celebrities—from ages 15 (Rowan Blanchard) to 70 (Cher)—have not only voiced their support on social media, but they have galvanized fans to join them. The Artists Table has also amassed dozens of A-listers standing in solidarity with 200,000 expected to march over the weekend. 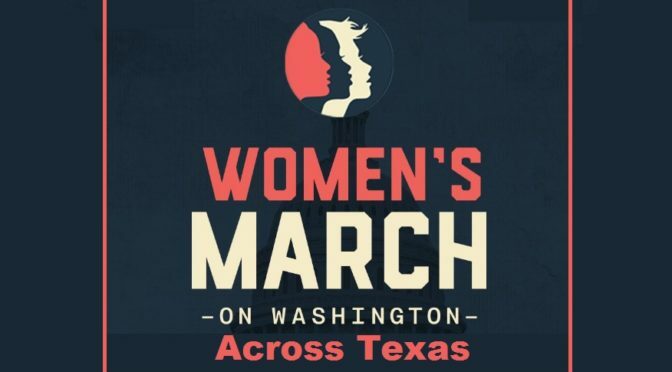 That’s a preview of what is slated for the nation’s capitol, but even if you can’t travel to Washington, there are plenty of opportunities to march across the Lone Star state. 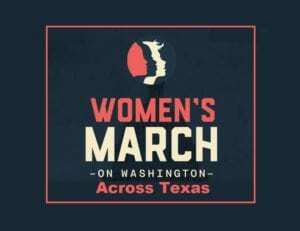 Over a dozen Sister Marches– events directly affiliated with the Women’s March on Washington, are happening in Texas. All together, these groups are part of a worldwide network expected to include millions of marchers. 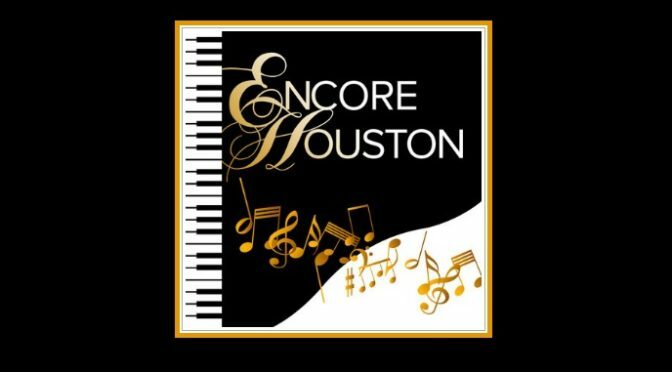 The Houston March, for example, has already collected 17,000 RSVPs. All signs indicate that this could be a very significant group of events. 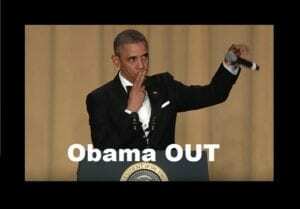 So yes it is true… none of us can change the past, or the results of last year’s election. But we can stand together, and amplify our voices for the good of the nation. Alright Texas. It’s time to march.